Be the first to share your favorite memory, photo or story of Doralyn. This memorial page is dedicated for family, friends and future generations to celebrate the life of their loved one. Doralyn Gibbs Ware, age 71, passed away March 25, 2019 in The Woodlands, Texas. Doralyn was born in Houston, Texas, November 3, 1947 to Bonnie and JM Gibbs both deceased. 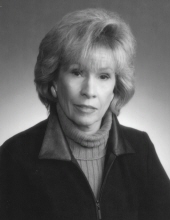 She graduated from South Houston High School in 1966 and Massey Business School in 1967. Doralyn married Robert (Bob) Gordon Ware May 27, 1967, in Houston Texas. Their daughter, Shelley Renee Ware, was born September 7, 1970 in Houston, Texas. Doralyn worked in banking for 41 years starting at the Allied Jetero bank in Houston and stayed and advanced through mergers with First Interstate and Wells Fargo. She retired in 2014 and held the position of SVP and District Manager. Doralyn loved, respected and enjoyed all of her many colleagues who she supported so completely professionally and personally. Doralyn loved her family and friends with all her heart. In addition to her husband and daughter, Bob and Shelley, she is survived by her siblings Mark Gibbs and wife Carol, Larry Gibbs and wife Rae Nell, Debbie Adams and husband Charlie. Doralyn’s surviving in-laws are Judy Tennapel, Mike Ware and wife Kathy, and Jeff Ware and wife Karla. She is also survived by her life long very special friend Wanda Dahl Atherton and close cousins Don and Lizzy Lafferty, June Peterson, Zenna Corbin and Arlon DeForge. Doralyn’s surviving nieces and nephews are Jacob, Micah, and Dylan Gibbs and Alex Gibbs Herrera. Those who knew Doralyn even briefly, knew that she loved her two cats, Duke and Harry, who will miss her. Doralyn so enjoyed attending the Woodlands Church where she and Bob were members. One of Doralyn’s fondest moments was getting baptized alongside her husband and daughter in September of 2018 as they rededicated their life to our Lord and Savior. Doralyn truly lived to serve others; she wanted nothing more than for all those around her to be happy and have what they needed and desired. A service celebrating Doralyn’s life will be held Thursday, March 28th at the Woodlands Church Chapel at 11 AM and a reception will follow. As Doralyn loved gardening and flowers, arrangements are welcome as are any donations to your charity of choice. The family would like to express a special thank you to Pastor Hunter Jesse for his support and dedication to Doralyn over the past year. There are no words to fully express Doralyn’s heart but the three that come closest are “Grateful, Giving and Fun”. To plant a tree in memory of Doralyn Gibbs Ware, please visit our Tribute Store. "Email Address" would like to share the life celebration of Doralyn Gibbs Ware. Click on the "link" to go to share a favorite memory or leave a condolence message for the family.